Since the inception of this blog, our foremost goal has been to display the music we love (and hope you love) in a tasteful, uninhibited fashion. To that point, I believe we’ve been fairly successful. Our secondary goal has been to bring you original content in the form of interviews, album reviews and most recently, our Mixes From The Astral Plane series. Today, we bring you a new form of original content: Guest Mixes. Whereas Mixes From The Astral Plane is meant to be a sort of overview of what we’re loving on at the moment, Guest Mixes will highlight the work of our favorite artists, one at a time. For our first ever Guest Mix, we’ve enlisted the man we called the “Dutch trap luminary” last month, Boeboe. As the wheat separates from the chaff in the trap game, Boeboe has emerged with an impressive grasp of hip hop, as well as the strand of bass heavy British house music championed by the likes of Julio Bashmore, XXXY and Eats Everything. Last month’s Act Stupid EP on Sabacan Records exhibited Boeboe’s mastery of the low end and it doesn’t look like he’ll stop anytime soon. 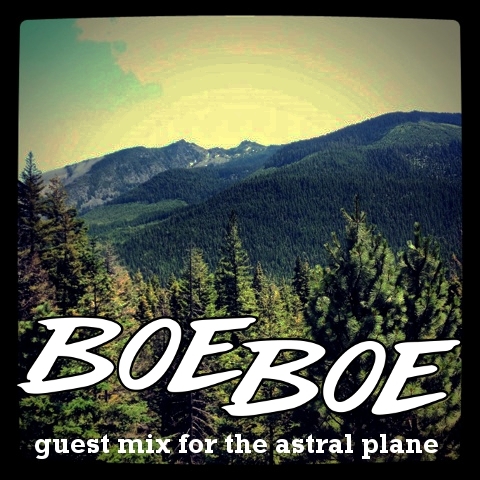 Without further ado, we present to you Boeboe’s Guest Mix.